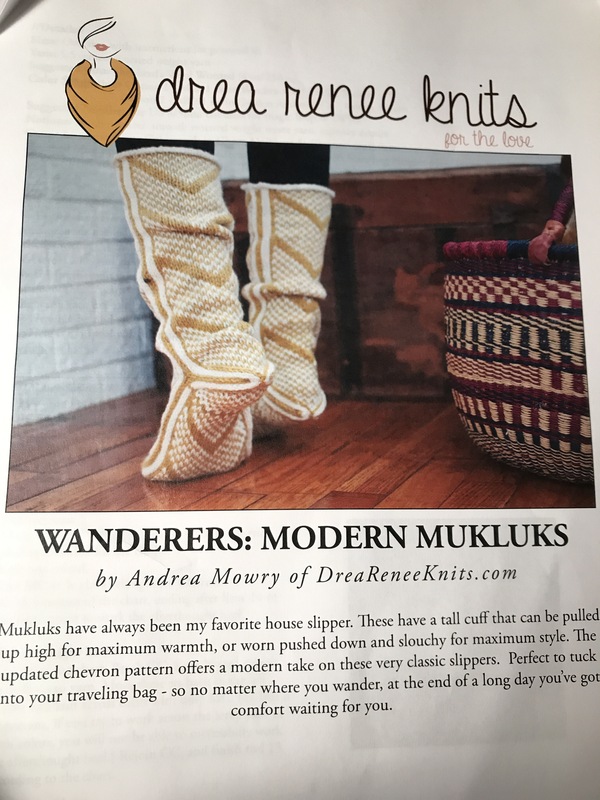 I recently discovered Andrea Mowry of Drea Renee Knits and have become mildly obsessed with her patterns. I haven’t done anything in brioche yet but when I do, it’ll definitely be one of her designs. 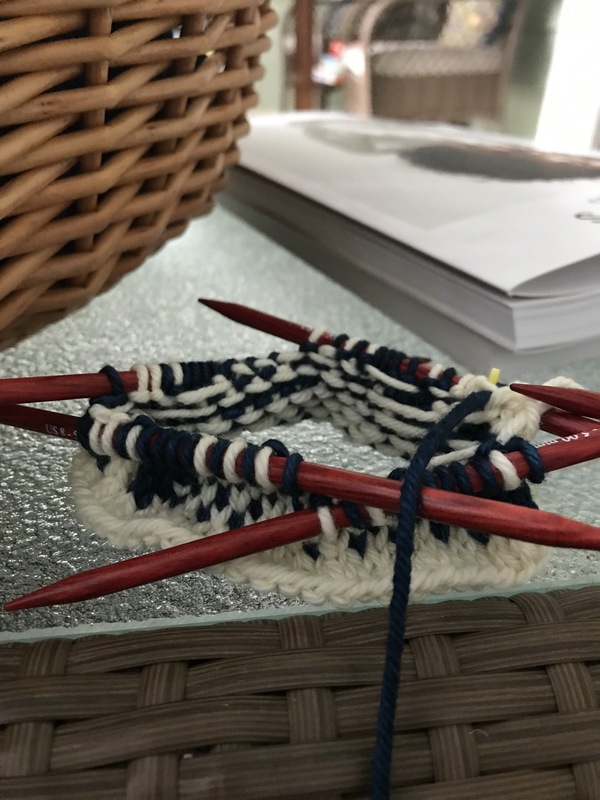 Since I’m committed to knitting for myself (and loving it! ), I decided to try these slippers out. 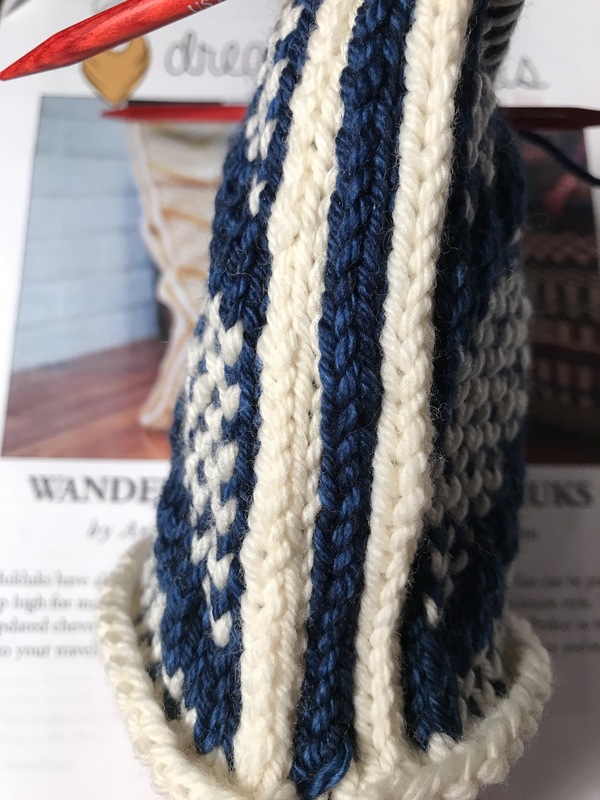 The main draw for me is that it’s knit on US8 needles and worsted weight yarn – and so interesting to look at. I would want to buy these if I saw them in the store. So, I got a skein of Malabrigo Rios in the natural colorway (CC) and other in azul profundo (MC). 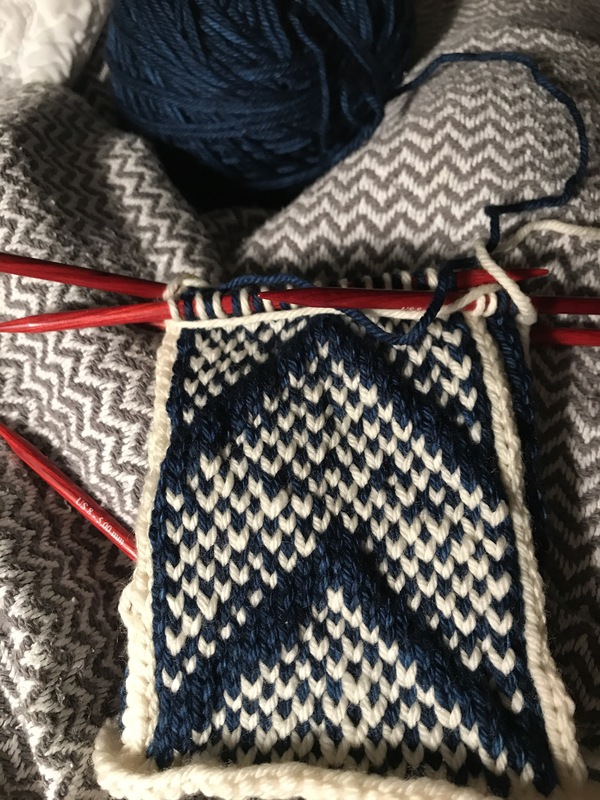 Honestly it has been quite a while since I’ve done colorwork so I was a bit intimidated. And, the afterthought heel is new territory for me so I’ll be sure to add an update if of how it goes. She’s added a really helpful video on her blog. 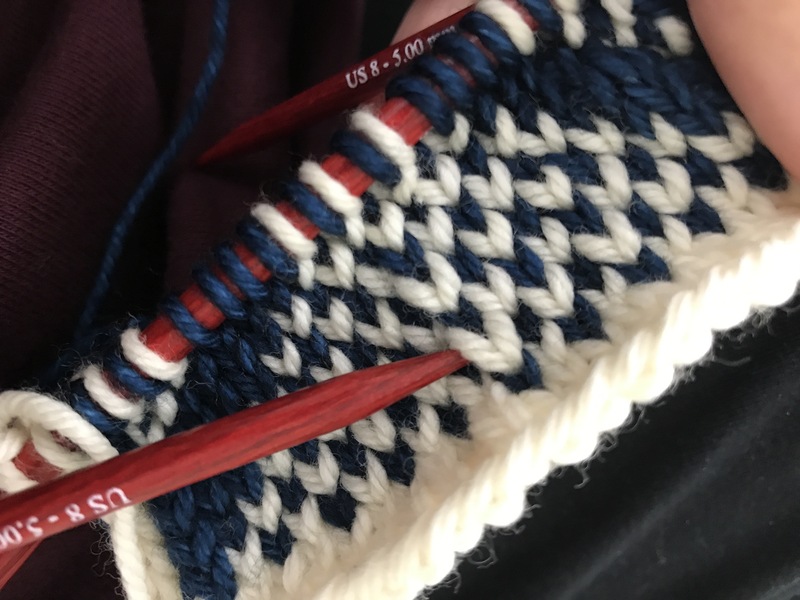 So, I decided to put all the stitches of the charted colorwork on needles one and three and the solid side stripes on needles two and four. This is working out well and I don’t mind as much if there’s a little gap on the sides, better than the main front and back. The second chart repeat went much faster and I’m feeling much more confident in this project 😅.